Ryan Robertson Testifies Before State Senate Committee to Save Safely Off the Roadway Defense. Robertson Law attorney Ryan Robertson testified before the Senate Law and Justice Committee on March 25, 2019 to urge State Senators to reject a proposed change to the important "Safely Off the Roadway" defense to Physical Control. Ryan Robertson testified that this proposed legislation is bad policy and will unfairly exclude people from using the defense after doing the right thing by safely getting off the road as an impaired driver. New Department of Licensing Hearing Rules Take Effect on January 1, 2019. New DOL rules shorten the time frame to request a hearing after a DUI related arrest. These rules also shorten the time that the DOL is required to schedule this hearing. 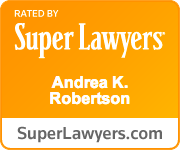 Robertson Law prevails over prosecutor, who had abused a pretrial writ to contest a suppression order in a DUI prosecution. Ryan Robertson wins appeal of DUI conviction. Conviction is reversed, after Ryan argues that character evidence was improperly suppressed. Failure to follow court rules regarding search warrants leads to suppression of gathered evidence. Creative Trial Tactics Result in the Dismissal of a DUI Case. Recent appellate win by Robertson Law, where a CDL suspension was reversed. Appellate win upholding trial court dismissal due to lack of lawful basis to stop client's car. Division One of the Court of Appeals rules that there is no constitutionally protected right to refuse field sobriety tests in Washington. Our office won a reversal of a DOL license revocation today, as the Superior Court found that the officer failed to prove by a preponderance of evidence that mandatory warnings were provided to the driver on the night of his arrest. Robertson Law announces our firm’s victory before the Washington State Court of Appeals. This ruling will affect the rights of drivers accused of DUI who have been subjected to administrative license suspensions or revocations. The court has published an opinion ruling that the law that requires drivers to waive their right to appeal a license suspension/revocation order from the DOL in order to receive an ignition interlock driver’s license is unconstitutional. Our client faced a charge of DUI, but through patient and consistent litigation, we were able to reach a very favorable outcome. A new client will often ask in that first meeting : “What are my chances? What odds do I have?” This is an almost impossible question to answer. Here is a case which illustrates why fighting a case up to the point of trial can be the best way to reach a favorable outcome. King County Superior Court Agrees DUI Defendants Can Receive Deferred Sentence After DUI Conviction. A King County Superior Court Judge has ruled on appeal that district court judges have the authority to give persons convicted of DUI a deferred sentence. The King County Prosecutor's Office had appealed the trial court's sentence after our client received a deferred sentence following a DUI trial. Attorney General Concedes DOL Hearing Officer Erroneously Revoked Driver’s License. ​Recently the Washington Attorney General's Office conceded on appeal that a Washington DOL Hearing Officer erroneously revoked our client's driver's license following a DUI arrest. The client's arrest was audio and video recorded. Court of Appeals Ruling to Affect Blood Testing in DUI cases. The Court of Appeals ruled in our client's case (State v. Olson #66201-5-I) that the State does not have to prove whether a person's blood sample was actually preserved with a “sufficient amount” of enzyme preservatives before showing the results of a blood alcohol concentration test to a jury. We are appealing this ruling. In January 2012, we learned that Division One of the Court of Appeals has agreed to hear the appeal of our clients challenging the constitutionality of the provision in the Ignition Interlock License statute that requires a driver to give up the right to appeal in order to obtain the Ignition Interlock License (IIDL). An Island County Superior Court judge has agreed our client's convictions for Unlawful Hunting of Wildbirds should be reversed on appeal as a violation of the Double Jeopardy provision of the State Constitution.